China summoned South Korean Ambassador Kim Jang-soo to protest against Seoul and Washington’s agreement to begin talks on deploying a U.S. Terminal High-Altitude Area Defense (THAAD) battery in South Korea..
Chinese Vice Foreign Minister Liu Zhenmin called in the ambassador Sunday to protest. 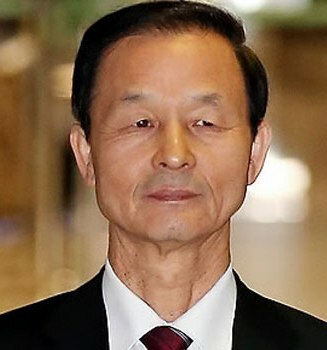 It is the first time the Chinese government has called in Kim, a former defense minister, who assumed the post last March. Earlier, the Chinese foreign ministry had expressed “deep concern,” about the THAAD discussions. Hours after the North Korean rocket launch Sunday, South Korea and the U.S. said they would begin talks on deploying the THAAD battery. The launch is widely viewed as a covert ballistic missile test to develop delivery vehicles capable of carrying nuclear warheads. “China’s position on the issue of anti-missile is consistent and clear,” the Chinese foreign ministry said in a faxed statement, Yonhap News Agency reported. Meanwhile, the Chinese foreign ministry also said that it had summoned North Korean ambassador Ji Jae-ryong to protest the North’s rocket launch.